Combining AVI videos into one? It’s not difficult anymore because of Movavi Video Editor! Have you ever thought that you can make your own movie? You may have had that dream but over time, a variety of thoughts raged on and ended up in the conclusion that you would not be able to make your own film. Creating your own movie is very likely to be realized as long as you have the right software for it. 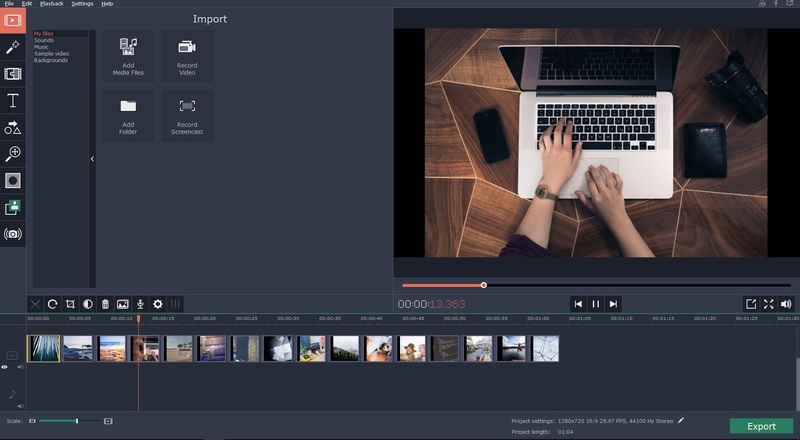 Movavi Video Editor is one of the best on the market since it allows you to edit videos, improve their quality and remove unwanted components (in video) and so on in one easy-to-understand platform. It does not matter whether you are proficient or not, this editing software is very easy to use. AVI is a much-loved format by film producers since it is highly compatible to many video players. In the making of the film, a manufacturer may be faced with the necessity to combine two AVI videos into one video only. The first step of course downloads Movavi Video Editor software and follows the instructions provided to make sure the program is actually installed on the computer. The second step is to run the program and you simply click 'Add Media Files' followed by dragging and putting videos (to be merged) into the work area. The third step is to add transitions with the aim of making the transition between two individual videos smooth. A quick step to adding transitions is to click on 'Transition Wizard.' The fourth and final step is to save the merged video. The trick is to click 'Export' and 'Save as Video' according to the format you want. In this case is the AVI format although this software is very compatible with other formats. Note: You can also click the 'appropriate tab' followed by 'appropriate device model' to ensure output video can be viewed on your mobile device. If you really want to start your project, you can go directly to the AVI joiner to get it all for free. Good luck!